Sydney Shop Girl: The Voice. In Pursuit of Delta's Lashes. There are times when it's sheer joy to watch reality television. Sometimes, the networks nail it from the first episode. The television franchise planets align. The judges, the format, the talent and the feel good factor are just all there from the first minutes of that crucial first episode. I was a bit sceptical when I first heard about The Voice. Was there any new interpretation of the talent show genre left? Then production started in Australia and the judges were announced. The tabloid exposure that Seal, Joel Madden, Delta Goodrem and Keith Urban generates was priceless. The gossip magazines went into overdrive and my curiousity was piqued. If only to see if Keith would wave to Nicole in the audience or if Joel's Nicole ended up bringing their children to Sydney for the taping of the show. I tuned in with 2 million other Australians on Sunday night and I think our Sunday night's are never going to be the same again. The Voice has heart and authenticity. I suspect The Voice has also captured the attention of Australia's twitterverse, with the artists and the show trending within minutes of the first episode airing. What's more, it was intelligent and kind tweeting too. With strangers interacting in a friendly way with each other. Who would have thought? Both the judges and the contestants are fascinating to watch. As a person whose really only listened to the music of the judges and not seen them in interviews or concerts, seeing them in action on set was lots of fun. Cynical old me was surprised at how involved and engaged the four of them were in the judging process. They played off each other but they also spoke with kindness, empathy and intelligence to each of the contestants. My two favourite performances so far have been some of the younger singers whose voices have a maturity beyond their years. Karise Eden is 19 years old. When she sang 'It's A Man's World', she did it with the voice of a woman twice her age, almost broken by her life's circumstances. There was such melancholy yet strength in the way Karise interpreted the song. I did have a few tears in my eyes watching Karise's foster parents at the side lines. It was her foster father who helped Karise find self expression and self respect when he bought her a guitar and never stopped encouraging her to develop her musical talent.. Karise chose Seal as her mentor, it's going to be interesting seeing how they work together. The second performance that got everyone tweeting and tearing up was 17 year old Rachael Leahcar singing La Vie En Rose. Rachael is severely visually impaired secondary to retinitis pigmentosa. Her one wish with her singing is that she be known as the singer who happens to be nearly blind rather than the reverse. To be defined by her talent rather than her impairment. To me, the stories of these young women highlighted the power of song. We are so accustomed these days to 'the whole package' of an artist's appearance, dress and video clip that often the singing is secondary. There is so much beauty to be heard when we choose to listen without the superficial distractions. After breathing a sigh of relief that Team Delta finally found its first member last night, my thoughts turned to Delta herself. Specifically, how to get those fabulous lashes of hers. It's probably a double set of false lashes but that didn't stop me from seeing if my new double barrelled mascara could do the trick with half the effort and risk of blinding myself. I found Rimmel's Glam Eyes Day 2 Night mascara at Priceline the other week. It retails for $18.99. What I like about the packaging is that the two wands are in the same handle. So there's no awkwardness with trying to tip the barrel this way and that to use each brush. 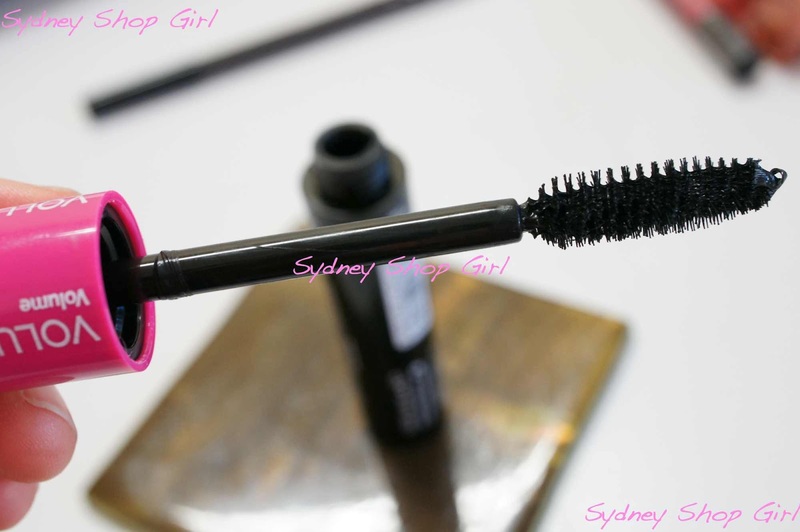 The volume brush is easy to use and delivers volume without clumps. The inner length brush isn't as spindly as some of the other wands I've used. 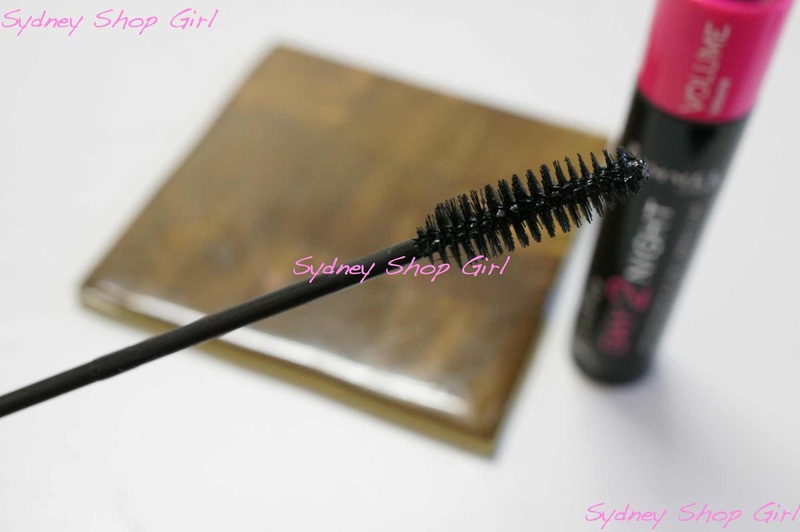 Despite this, it's still pretty easy to coat each lash and add the appearance of length. The shade I'm using is Extreme Black. It's not waterproof but doesn't flake or go all panda eyes by the end of the day. It's been craziness at work the last few days and my old mascara would flake a little and settle in the shadows under my eyes by mid afternoon. Making me look as bad as things can sometimes get at that hour of the day. Glam Eyes Day 2 Night wears pretty well. It hasn't quite given me Delta's lashes but it's got them as far as they can possibly go on their own. I've been searching for years for a mascara that doesn't end up under my eyes. Will give it a go! I haven't watched singing competitions since the early days of Australian Idol and this show is a pleasant surprise! I love Karise's voice, she is phenomenal! I would love Delta's hair! It was a good episode, I watched it (how could you not with it being plugged months in advance?!) but don't see myself watching it every night. Delta has awesome hair. I'm thinking her secret is probably her stylist! I was surprised by how tall she is, unless she has massive heels on and all the contestants are tiny. It is a great show. I love it because they all really can sing, there is none of that cringe of Australian Idol. It does make me grateful that I can't sing because if I really could I don't know that I would have the determination and stamina to compete against so many AMAZING voices. I will be watching (which I guess means S will be playing more video games, he can't cope with anything vaugely reality TV). Ibiza is one in all the foremost common tourist destinations among the travelers and it's as a result of this reason that the island entertains thousands of tourists per annum. 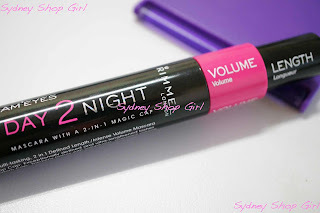 I like the Day 2 Night Mascara, i wish it was under $10. Hi check my youtube vid.